Creation order intentionally purposes the roles of men and women in the church. Men, do not dress or present yourselves in ways that symbolize that you are a woman, for to do so brings shame both on yourself and your authority, Christ. You are to remain distinct from how a woman dresses because you are her authority and are called to lead her. Women, do not neglect to fulfill your role as functionally submissive to male leadership, humble and dress yourselves in a way proper to females and distinguishable from man, because he is your authority. When you pray and/or prophesy in the church, do so in a posture that seeks to honour your male leaders. Know that your submission does not imply that you are inferior in worth, essence or being, rather, like Christ and His Father, who are equal in essence and divinity, so too are you and man, equal in God's created image and value. c even as I delivered them to you. and f the head of Christ is God. since it is the same i as if her head were shaven. BECAUSE, to be without a head covering would give the appearance of looking like a man/her husband. then she should cut her hair short. THEREFORE, a woman/wife should cover her head. but k woman is the glory of man. but m woman for man. so man is now born of woman. And o all things are from God. IN OTHER WORDS, use reason! is it proper for a wife to pray to God with her head uncovered? QUESTION: Should a woman/wife pray (in public assembly) without covering her head? it is her glory ? nor do q the churches of God. don't look like your husband, because you were not made like your husband, and you are particular/distinct in your role as his wife (not inferior). To dress like your husband, is to show open rebellion against the created order (to want to be/look like your husband). praying/prophesying in the public assembly - from context that these chapters = referring to public worship and next chapter has to do with Lord's Supper - these are commands of what women and men should do/dress like in public worship, the point of prophesy = to edify the church (not a private expression - 1 Cor 14:1-5; 29-33a), and 1 Cor 14:33b-36 shows that not all forms of speaking for women are prohibited in public gathering (just not teaching from the Word of God/exercising authority) - thus, women can prophesy in public, but not weigh prophesy for that would require teaching. If they do prophesy/pray in public - wear a head covering to show you are in submission and humble to male headship and it is something that separates who the women are from the men (something that looks distinct to the women). Woman honours (glories) man, just as her hair is her honour (glory), which contrasts men and how they are dishonoured/disgraced if they grow out long hair (14b) - woman should honour man, and such honouring comes by wearing a head covering showing that man is her authority/head. Paul wants the woman to wear a head covering because such adornment appropriately distinguishes women from men. Indeed, the focus on male headship over women in verse 3 shows that Paul wants women to wear a head covering in order to show that they are submissive to male headship (Schreiner, pg. 126). Nature - definition - " the natural and instinctive sense of right and wrong that God has planted in us, especially with respect to sexuality" (Schreiner, pg. 128 - and his reference to how Paul uses "nature" and "teach" elsewhere, e.g. Roms 1:26-27) How you wear your hair, is indicative of your willingness to abide by creation order. Wearing a head covering, in the context of the Corinthians, shows that women and men are inherently different (not unequally worthy). If a woman wants to prophesy or pray without looking distinct from men (or being distinct from men), then she is negating the God's intention in creation. Further, how you wear your hair signifies your willingness to abide to the created order - women have long hair, because it is distinctly feminine, and men don't have long hair, because it is to keep women distinct from you. This point is still sticky for me. In one way, it is certainly easier to understand the "custom/practice" he is speaking of to be the contentiousness, but women wearing head coverings in public worship fits the description of a "custom/practice" far better. Did you consider the possibility that Paul might be ironically saying, "But if anyone wants to fight me on my instructions for you regarding head coverings, know that it is not actually what we practice where we are at, nor what the churches in general do. (I.e. I am merely instructing you in this because it is the accepted cultural distinction in Corinth/among you; if there is another way you would want to express this distinction, go for it.)" Can you think of any precedent in Paul's instructions elsewhere for considering this sense? This was actually something I was thinking about (that Paul is saying, possibly, that they don't do this, nor do the other churches of God, but the principle of having a church that demarcates its men (and in particular, its male leaders) from its women is still necessary, and that, further, it's possible that this situation is unique to the Corinthian church(es)), but all the [limited] commentaries I read on this, do not seem to read it this way. I was swayed by the argument simply because I am not familiar with the Greek, and because I can readily acquiesce to the logic of others who say, "we are not contentious with the Corinthians, because it is something all of us are already doing". As to where Paul might use similar reasoning to your suggestion, I find might be in the same book/letter to the Corinthians in chapter 9:19-22 (although the passage focuses on Paul's surrendered rights to payment from the church for the sake of the gospel). Paul says he adopts these foreign and sometimes backwards cultural practices for the sake of more effectively ministering the gospel and saving some. My thinking here is that though these practices are not held in other parts of Christendom, they are nevertheless permissible, and maybe even encouraged, among ministers, especially for those who lead within that particular culture, so that the people there might gain salvation. Perhaps Gal 2 can be of help as well in Paul's rebuke to Peter, but I shall digress for now to think on it more. Again, I welcome your interjections, thoughts, admonitions and challenges in the interim. Clearly you are relying on a book from Schreiner for much of your arc. Which book are you referring to? Also, would you mind expanding Schreiner's thought here a little? I see you are not 100% convinced by it given your question mark, but nonetheless it would be helpful for my consideration. I'm referring to Recovering Biblical Manhood and Womanhood (eds. Piper and Grudem) - chapter 5 - essay by Prof. Schreiner - I am also referring to a couple of other online articles, but the most persuasive and most relied on for/by me was Prof. Schreiner's paper. I think that this particular proposition took me the longest to paraphrase. One of the reasons for this is because Prof. Schreiner, himself, does not give an in depth explanation of this passage. It is almost something he explains in passing, and his reason for his short explanation is that it's uncertain (even to a scholar like him) what truly Paul meant here. In my mind, the way I originally thought of this passage is that Paul is [almost] making a comparison here between women and angels (that is the woman's submission to man, is similar to the angel's submission to God), but the more I thought of this, the less okay with it I became, because he's already made this comparison for us in verse 3 but to in a more foundational way (woman to man is like Christ to God). So, by inference, it seems like the inclusion of the angels in this passage is to highlight that they are doing something, rather than being compared to something. The only thing I could come up with, likened with Prof. Schreiner's explanation, is that they are trying to help us uphold and restore this creation order, which was corrupted by humans. If you want, I can probably expand on this even more, but for the sake of not overburdening you, I think I'll pause here. First off, let me encourage you for how God has chosen to use you to speak to me. A brother and I have been struggling through this passage for several days during a daily devotional time we have together. We had not yet turned to commentaries, but simply were wrestling through the Greek and logical flow via an arc. As is true for many, we have been pretty baffled, though have been trusting the Lord to provide insight as we persevere. As I opened my computer a couple days ago to continue working on this text, I noticed that there were a few new published pages needing approval. That is, I just needed to make sure that there was nothing profane in them before they are fully published. I typically spend all of one second per page I am approving, often not even taking note to which scripture text is used. However, this time, before clicking to look at the pages, the thought went through my head, "I wonder if God might help me out with 1Cor 11:2-16 through one of these pages." Understand, I don't recall any thought of this sort ever going through my mind with regard to approving published pages—I normally do it just robotically. But this time, I did think such a thing, and your arc was the first the pop up. Thus, you (and God) had my attention!! And your arc is really helpful, particularly your accompanying paraphrase. It has been a great aid to me in seeing how all the pieces of this text can fit together. I will comment on a couple specifics in separate comments, but first wanted to share this general, thankful sentiment. Thank you for your kind and encouraging words! Quite honestly, I posted this arc because it is something that I and my church (or some people in our church) are currently grappling with as well. I am encouraged (even more so), because of how God's sovereignty seek to unify His church all over the world through His Word! 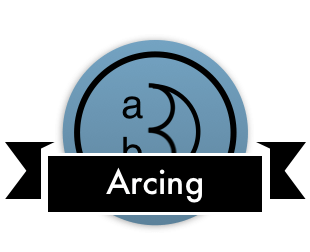 I also want to thank you because, while I completed your arcing course via audit, it has been such a blessing to me! I am constantly astounded at how God has used you not only to build this website (and your team, if you have a team), but also how you continue to use it to disciple people all across the world. God Bless you and your ministry! To be very very honest, and as you noticed in your other comment, much of my arc was aided by my personal study not only of the text, but of what other people have said, particularly the essay from Prof. Schreiner in Recovering Biblical Manhood and Womanhood (eds. Piper and Grudem). I also have to admit that because of the informal setting in which I am studying this passage, my citations are incomplete (and not fully reflective of what I've read). So I thank you for your patience and encouragement despite the obvious failings of the arc (and the paraphrasing/notes therein). As I have not had your personal reflections, encouragements and discipleship, I welcome anything and everything you have to say about what you see here! It is a deep privilege for me to hear your wisdom on these things.